The pies are a rich stew wrapped in crisp pastry. They are a staple in British homes, traditionally made for miners lunches, they’d hold on to the breaded crust and eat the pie with their sooty hands. In this class, I’ll teach you how to make crisp sturdy crust pastry, as well as how to troubleshoot common pastry dilemmas. 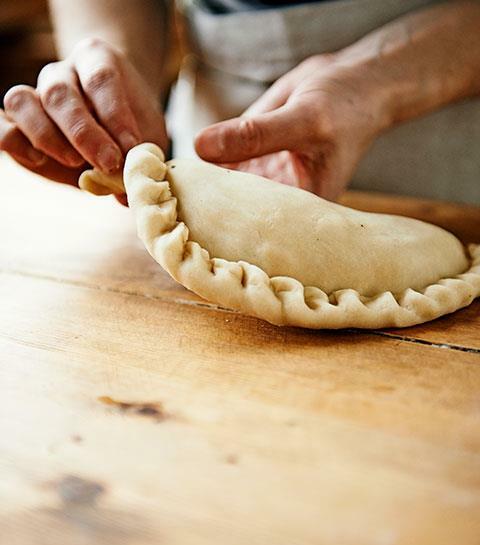 We’ll bake traditional beef pasties; chicken and sweet potato pies; and spicy vegetarian pies.